Why Denton County Collaborative Professionals? 1. Similar Training and Philosophy: Each of our members have been trained in the same system and have similar philosophies, which translates into time and cost efficiency for our clients. 2. No Travel Time: Because each of our members either office IN Denton County or they do not charge for travel time to Denton County, that means less expense to the clients for joint or offline meetings. 3. Familiar with Denton County Courts: Each of our members are familiar with the Denton County Court System and the judges in our county, which is helpful when assisting the clients in developing and considering options to settle their case. 4. 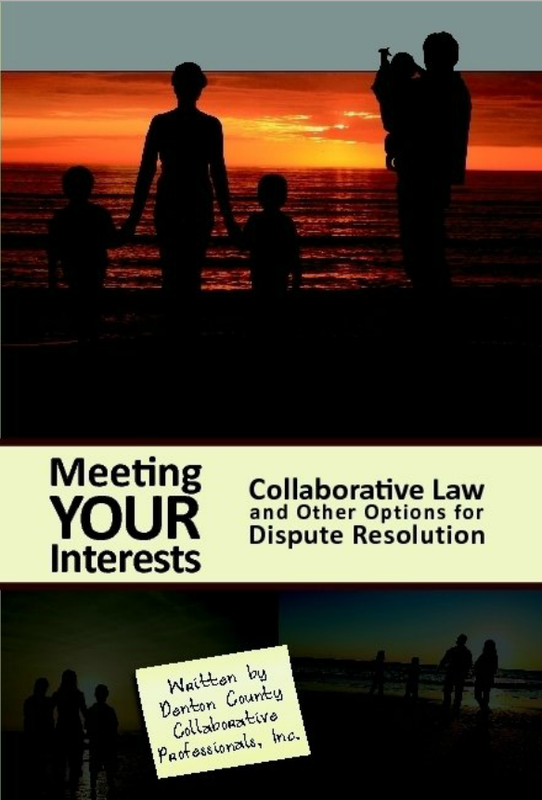 Familiar with Litigation Process: Each of us have been and are involved in the litigation system; therefore, we can give the clients comparisons and contrasting opinions about whether litigation or collaborative is appropriate for their case and what litigation would “look like” if the clients chose to use that process instead of collaborative. Every member of the Denton County Collaborative Professionals has worked and continues to work in litigation. Each member will tell you that litigation has its place in dispute resolution and that we are proponents of it in some cases. But every member of DCCP will also tell you that, given the option, for most families, the collaborative process is a healthier alternative to the resolution of their case than litigation.